Sunbathing in 30-degree heat on a tropical beach, with cocktails in both hands. After gaining top grades in her chosen A-levels, Maddi decided to spend a gap year travelling. After thinking she should have gone to Spain to further perfect her near fluent Spanish, Maddi instead packed a bag and left for the sunny shores and sweaty trains of Italy, to explore somewhere new and exciting. She said “The beautiful sights of Rome, Pompeii and Pisa, amongst others, will stay with me for ever”. With the travelling bug still present, Maddi departed for Thailand which was proved to be a culturally enriching experience and one she hopes to repeat in the years to come. With her feet back in the UK, Maddi started her interiors career at Homesense where she learned valuable styling experience, merchandising their wonderfully aesthetic and eccentric interior collections. Maddi later moved on to a boutique interior design company to further her skills in a new environment. 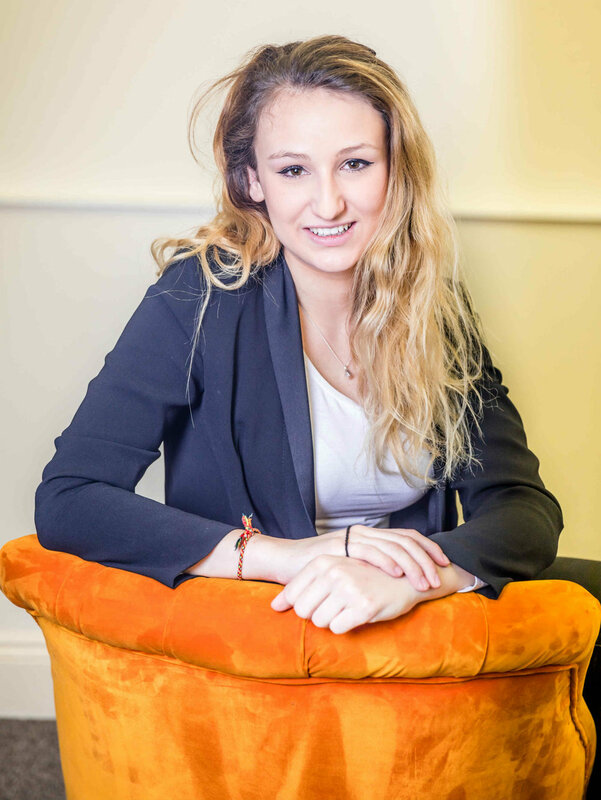 Maddi started her role as Junior Account Executive at Bloxham PR at the start of 2018 and in her short few months here, has already guest contributed to In The Country magazine with an interior styling article published within the Spring issue, worked as Editorial Assistant for The Favourite, a new racing guide which launched Spring 2018, and has quickly built a network of media contacts which has seen her secure a number of editorial placements. When Maddi is not at her desk, you can find her with her cats, Moses and Rossi, and failing to bake gluten free goodies.